But let’s rewind a bit. Captain Phillips is based on the true events surrounding the hijacking of the Maersk Alabama back in 2009 off the coast of Somalia. This freight ship was on a run from Oman to Kenya, delivering a cargo consisting mainly of food and water aid. The titular Captain (Tom Hanks) was charged with leading this vessel through one of the most notorious stretches of sea in the world, owing to the high incidence rate of pirate hijacking. 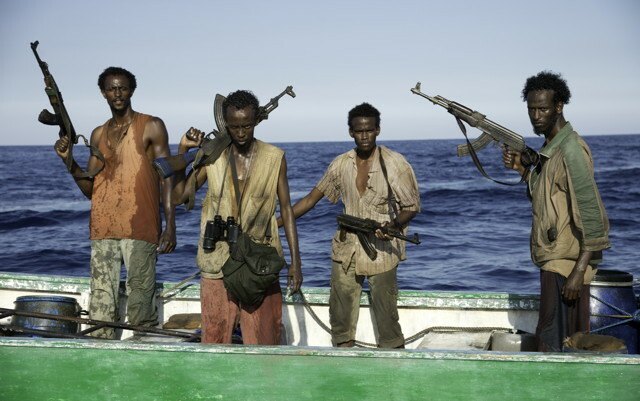 It’ll therefore come as no co-incidence to learn that this film revolves around such an incident occurring when a group of four Somalians, led by Muse (Barkhad Abdi) board the ship and take Captain Phillips (aka Irish to the Somalians) and his crew captive. This film recounts that and the ensuing events that unfold. Let me be straight to the point: I loved Captain Phillips. Everything from the pacing, to the plot, to the acting was on top form. I think this is based on two big points: Tom Hanks’ lead acting (and a superb supporting cast, especially from Barkhad Abdi and Faysal Ahmed), and Paul Greengrass‘ knack for capturing the intensity and edge-of-your-seat tension from the director’s chair. Indeed, the tension truly is unrelenting. For a film that lasts over two hours there’s no letting up in the pace once the Alabama is charting its course through the ocean. I kept a bit of a blackout of the issues surrounding the real events to maintain the level of excitement for me, and it worked a charm. As I mentioned, one of the true selling points of this film is Tom Hanks. I, like so many others, recognise Hanks as a formidable acting talent. Philadelphia, Forrest Gump, Apollo 13, Castaway… the man has done a lot of subliminal films in his career. I’d arguably put Captain Phillips right near the top of this roster. Hanks does a fantastic job of selling Phillips’ emotions over the course of the film. Indeed, his final scenes in the film are particularly harrowing and I defy you to not feel some modicum of emotion come over you. This is all due to Hanks. There’s no doubt in my mind. However, don’t think the film is all “go USA!”, as it’s not. As I mentioned earlier, one of the quotes from the film about “maybe in America”, has stuck with me. This is because the film does a very good job of actually helping you to see what these pirates are fighting for: survival. They have bosses. 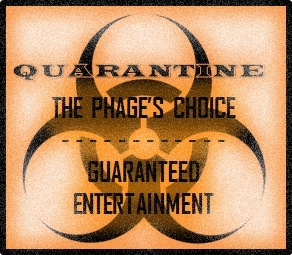 They have bosses that won’t be happy unless they bring back millions of dollars in capital. These millions feed back to the warlords – not the pirates. The pirates get their paltry sum and must carry on doing this again and again. Just as you or I go to work on a daily basis in our offices and sites, they don’t. They take to the seas. This is where Abdi‘s performance comes to the fore as you can see the pain behind his eyes and you understand why he must go through with the events that unfold in the film. He has no choice. So: the acting is fantastic, across the board. But the tension and writing keep pace with this most admirably. You could draw vague comparisons between this and films like Zero Dark Thirty or The Bourne Ultimatum, as both of those deal with similar degrees of tension. Arguably, I’d say that Captain Phillips is far more engrossing than either of those films, and I would be surprised if we didn’t see some Oscar nods come early next year. I truly hope we see something here, because if not that’ll genuinely be a tragedy. If Zero Dark Thirty can get plaudits, then so should Captain Phillips. 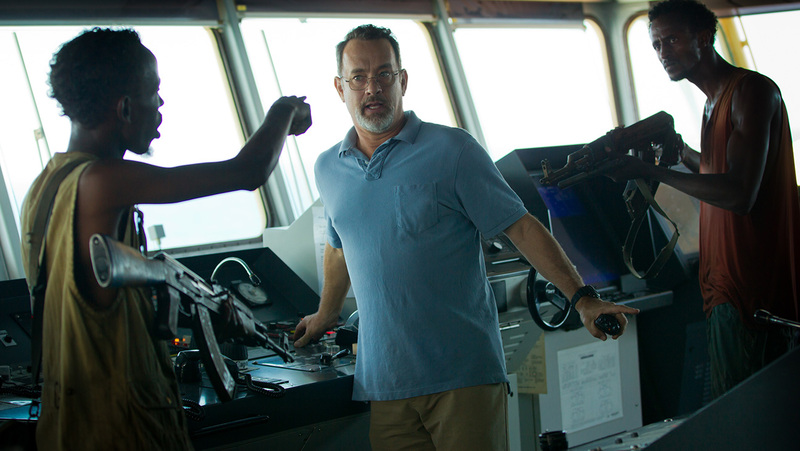 Captain Phillips is that rare beast: a biopic that has it all. With its ferociously enthralling story, superb characterisation and sterling across-the-board acting, it’s a film that deserves to be seen. Although controversy has recently arisen as to how like the real Captain Phillips Tom Hanks‘ character has been written, it’s nevertheless fantastic. Praise has rightly been steeped upon Hanks himself, although it must be mentioned that all players contribute to this exciting film. I think I’d rather watch more movies like this than have to endure more hammy Captain Jack Sparrow films, although they’re inevitably incoming in the near future. Yes, that cow will die eventually from an overmilked teet: a savage death. Though there are worse ways to go, I’d imagine. Hell, I empathise more with genuine Somalian pirates than I do a guy that romps around in mascara, rambling on about rum… Who wouldn’t? !